Embracing authenticity, artesian aesthetics, and accessibility, Apolis is a social enterprise that empowers people to create inspiring products. (�Apolis," taken from the Greek, translates as �global citizen.") 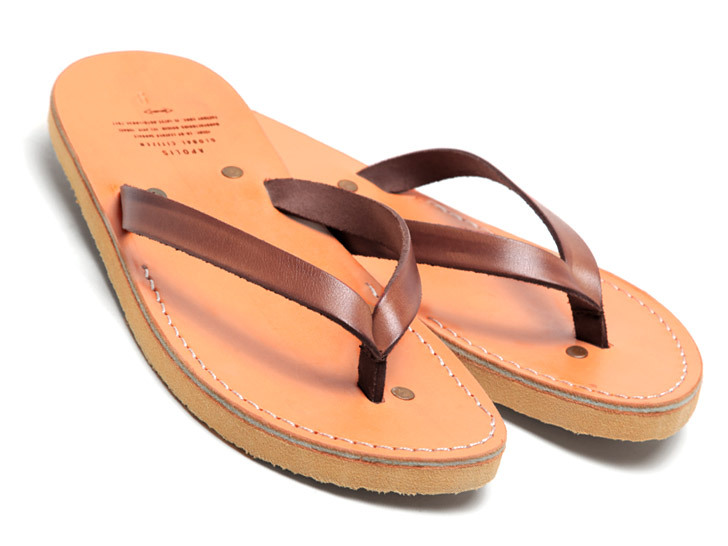 Its Co-op sandal, cobbled from supple vegetable-tanned leather, recycled rubber soles, and all-natural dyes and varnishes, is a testament to this credo. Handmade in a tiny co-op in Tel Aviv by a four-person team, each sandal is an example of fine craftsmanship born from years�generations, even�of skill-honing. "They understand the importance of carefully sourcing their materials, an approach which continues to be a central part of their business," says Shea Parton, co-founder of Apolis. "[This enables] them to truly appreciate what goes in to each pair of handcrafted sandals. We hope you wear them well."